Add some frosting to your baked cupcake. Add any kind of sprinkles you want. We used white frosting with chocolate sprinkles. 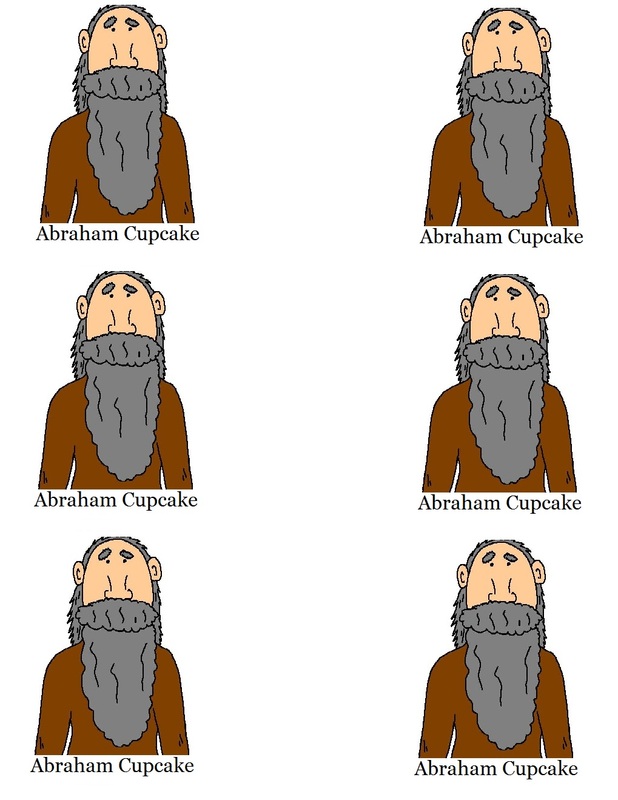 Print the Abraham template off and cut it out. Tape it to a toothpick and stick down in cupcake. Take these for Sunday school or Children's Church for the kids to eat.